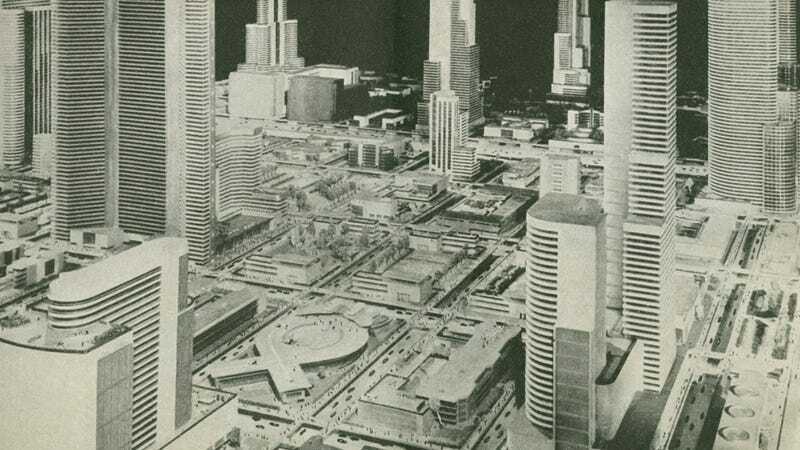 What’s The Most Awesome Future City That Was Actually Terrible? We love when architects and urban planners dream big and come up with absurd visions for future cities. Not every idea works out, though. What crazy vision of a future seemed like such a good idea at the time, but in retrospect is really terrible? These ideas don't have to have been made, and they should be stranger than these real-life bizarre urban ecosystems. The more trippy the design (like Normal Bel Geddes' 1939 automated, inhuman Futurama), the better.